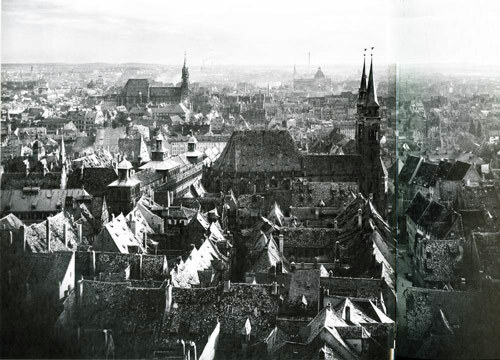 After preparing my conclusions about the vantage point of an old family painting of Nürnberg, I found some photographs in a book one of my German cousins gave me. 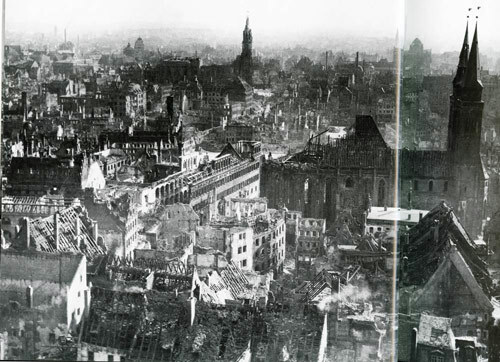 They are a pair of images taken in 1938 and 1945, the first purported to be a view from the Burgfreiung. Initially this confused me, because the 1938 image could not have been taken from the lower observation plaza that I understand is the Burgfreiung. It must have been taken from the top of the Sinwell Tower. 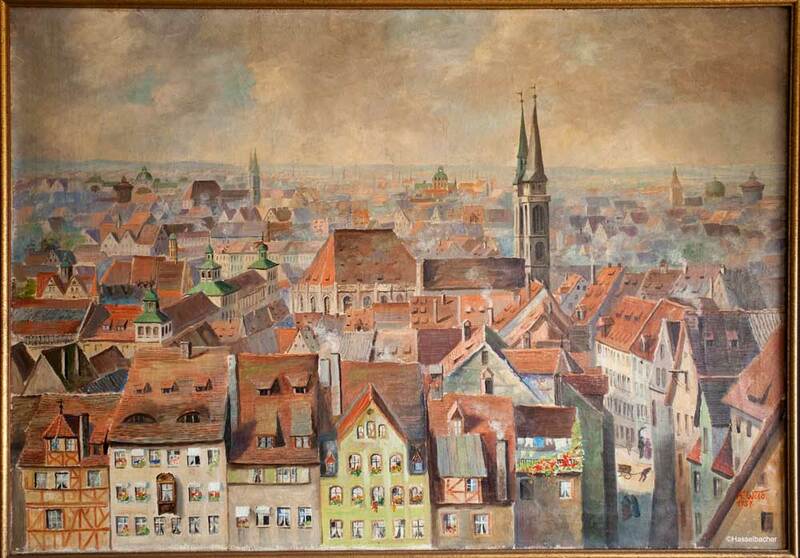 Be that as it may, the prewar skyline of Nürnberg is stunningly similar to the 1937 painting. In fact, it is still not possible to rule out that the painting was done entirely or in part from a photograph. The orientation of the prewar structures is strikingly similar to that in the painting. In particular, it is easier to see the view down into the street between the castle and St. Sebald.